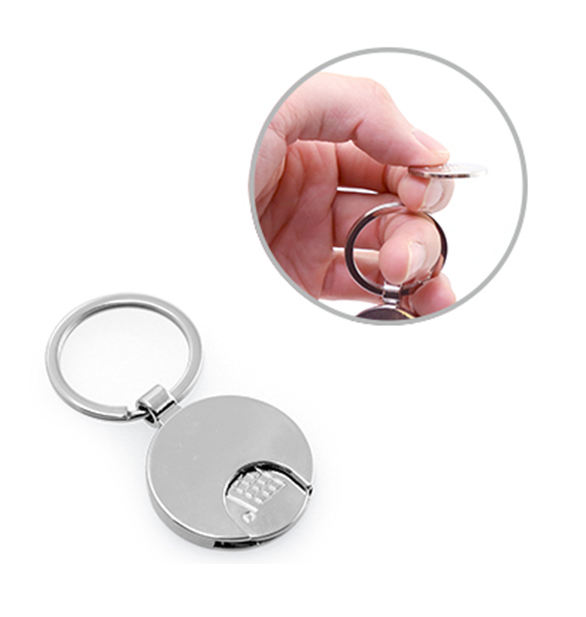 Keychains though simple, but can leave a long lasting impression when given out as corporate gifts. It can be detached and used in place of the $1 coin that you need to obtain a trolley at the supermarket. Only suitable for trolley with new $1 gold coin.